AFI (abbreviation for A Fire Inside) is an American rock band from Ukiah, California, formed in 1991. 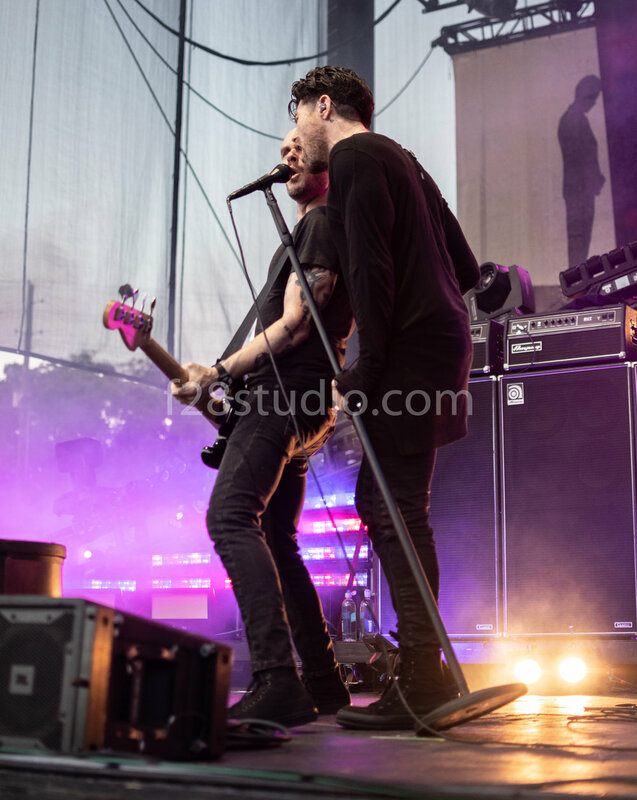 The band has had the same lineup since 1998: lead vocalist Davey Havok, drummer and backing vocalist Adam Carson, with bassist Hunter Burgan and guitarist Jade Puget, who both play keyboard and contribute programming and backing vocals. Of the current lineup, Havok and Carson are the two remaining original members. AFI has released ten studio albums, ten EPs, one live album and one DVD. The band first reached substantial commercial success with their fifth album, The Art of Drowning (2000), which peaked at number 174 on the Billboard 200. AFI broke into the mainstream with their sixth album, Sing the Sorrow (2003), which peaked at number five on the Billboard 200 and remained on the chart for 51 weeks. The album was supported by popular singles "Girl's Not Grey" and "Silver and Cold", both of which peaked at number seven on America's Hot Modern Rock Tracks chart in 2003. "The Leaving Song Pt. II" was also released as a single, reaching number 16 on the chart. Sing the Sorrow was certified Platinum by the RIAA in 2006 and is AFI's best-selling release, having sold over 1.26 million copies as of September 2009. 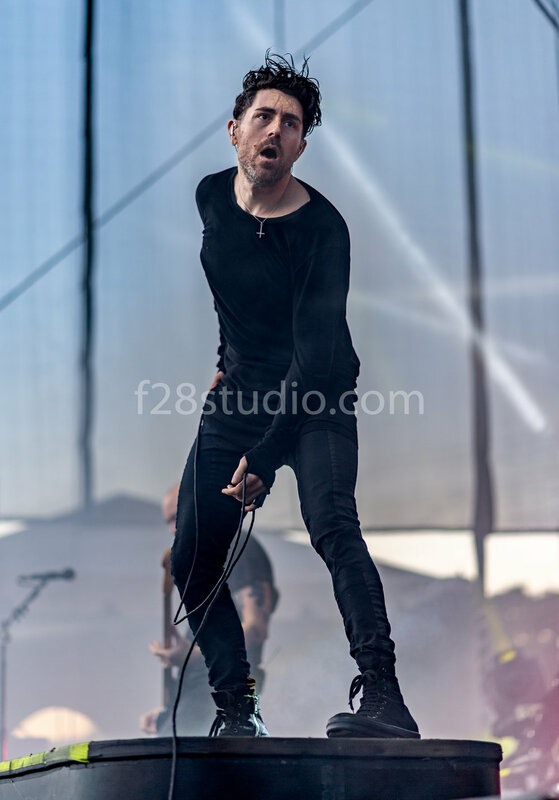 AFI's seventh album, Decemberunderground (2006), debuted at number one on the Billboard 200 and featured the hit single "Miss Murder", which topped the Hot Modern Rock Tracks chart and reached number 24 on the Billboard Hot 100. Another single, "Love Like Winter", reached number four on the Modern Rock Tracks chart. The album was certified Platinum by the RIAA in 2013. Decemberunderground was followed three years later by Crash Love (2009), and then four years later by Burials (2013); both albums were also successful, peaking at number twelve and number nine respectively on the Billboard 200. 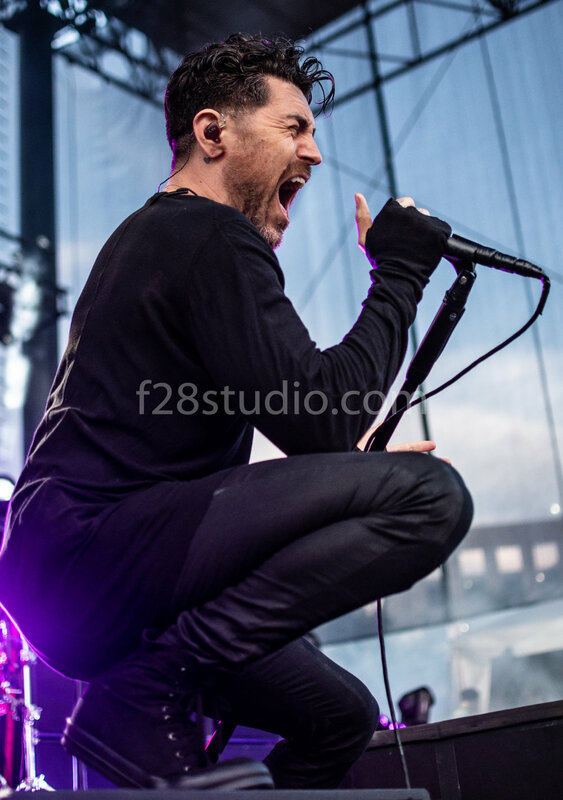 The band's tenth and latest album, AFI, was released on January 20, 2017, and peaked at number five on the Billboard 200, making it their second-highest chart position. Images are by Chris Sturk and copyrighted. Bands history provided by Wikipiedia.